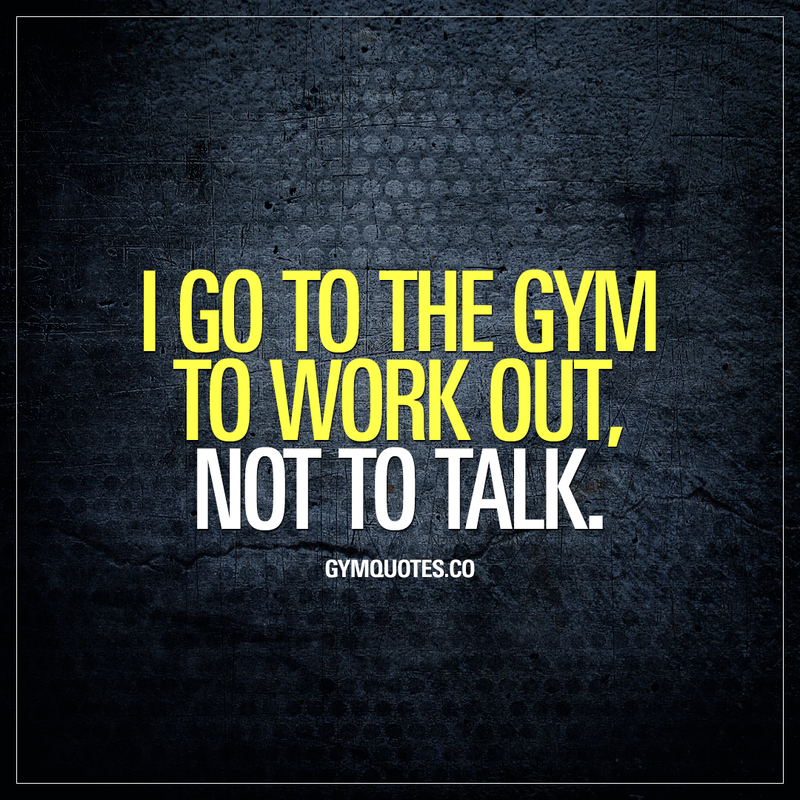 Workout quotes: I go to the gym to work out, not to talk. I go to the gym to work out, not to talk. Some go to the gym to socialize and others go to the gym to work out, train hard – focus 100% and to get those gains. I’m one of those that go to the gym to work out, not to talk. When the headphones come on, the world goes off and it’s just me and the weights. No talking. If you’re the kind that go to the gym to work out and not to talk, then this is the quote for you!